This is very quick recipe of shashlik its marinated, thread and baked into microwave that prepare in no time. Serve with sauce and rice. 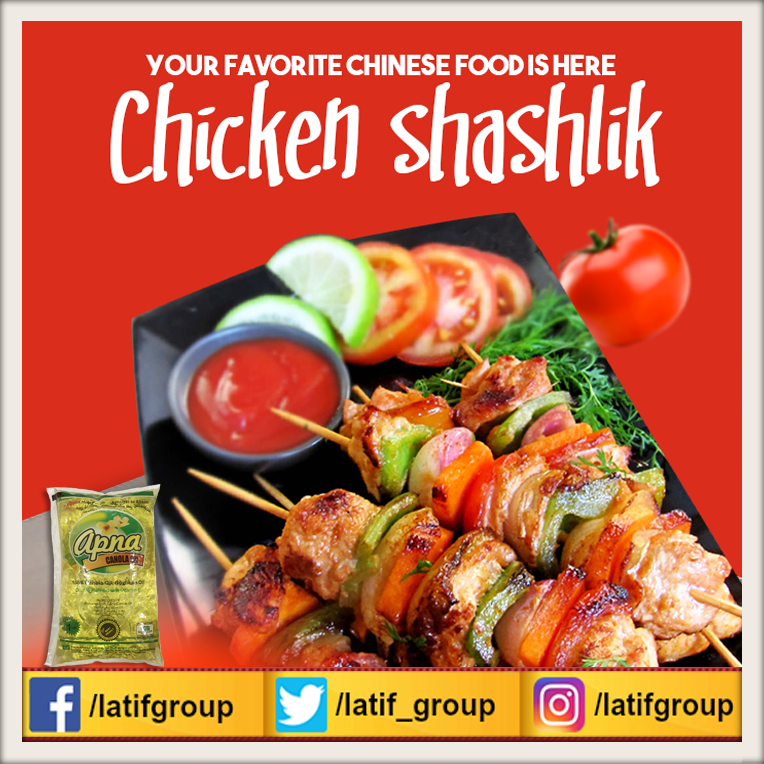 In a mixing bowl combine together the garlic paste chicken tikka masala, oil, salt ,soya sauce, chili garlic sauce, worcestershire sauce, corn flour, chicken cubes, diced capsicum, onions and tomatoes. Skew the vegetables and chicken cubes closely on the BBQ sticks. Cook in the microwave at 100% for 9 minutes. 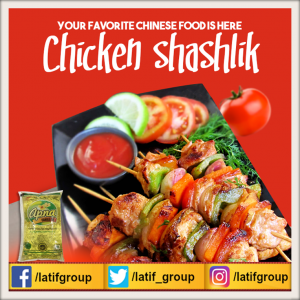 Remove and serve with shashlik sauce.